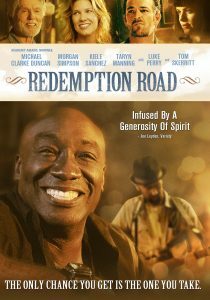 Two seemingly different men embark on a music-steeped journey through the American South, learning along the way that life isn't about where you end up - it's how you get there that matters. Somewhere between Austin, TX and Huntsville, AL the two men become unlikely friends. However, every road has an end. In Huntsville, sad truths come to light, with heartbreak and violence lingering in their wake, ultimately leaving both men changed forever.